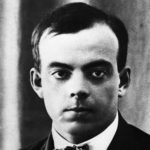 Antoine de Saint-Exupery was a French writer, poet, aristocrat, journalist, and pioneering aviator. "I have no right, by anything I do or say, to demean a human being in his own eyes. What matters is not what I think of him; it is what he thinks of himself. To undermine a man’s self-respect is a sin."